What is the goal of the infographic? What information do I want to show? What title I want to use? messages with images attract the attention faster. An infographic could be the connection between online and offline. It is in fact easy to share online, but it is also easy to print and share it offline. People are nowadays often in a hurry and will take no time to read large pieces of text. Infographic can provide a solution, as it is easy and quickly to read. Pictures speak louder than words. Research shows that people remember 80% of what they see and do. With a good infographic you can trigger your audience to visit your website or to interest them in your new products. An infographic is easy to share through social media. If you’re able to make a good and understandable infographic, there is a great chance that this is often shared via social media. This will generate extra ‘traffic’ to your site. You can create an infographic in many different forms. For example: a map, a timeline of events or picture frames with text. There are several tools where you can make an infographic. Tools like Piktochart, Infogr.am and Google Developers can assist you in making an infograpic. However, these tools usually provide standard infographics, making it difficult to distinguish your design. If you still intend to use a tool like this, be aware of the possibilities of the tool. Another possibility is to make an infographic by a designer. 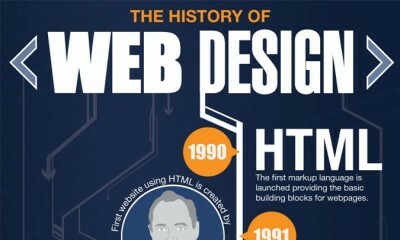 Designers usually have the creativity to make a distinctive and beautiful infographic. Provide a good title that clearly indicates what it is about and that attracts the attention of the readers. Use colours that work well online. Make sure you use a font type that belongs to the infographic. Use white space in your infographic. Make sure there isn’t too much information in the infographic. Look forward to what style you want to use. For example: sleek design or playful design. Choose one topic, so the reader knows where your infographic is about. Several topics in your infographic is possible, but make sure that the topics are separated. Keep it simple. The main key of an infographic is to keep it clear and easy for the reader. Tell a story. This could be a story of your company until now. Make sure the infographic can easily be shared via social media. Make sure the images link with each other, so the reader is triggered to read. Offer your infographic through various blog sites. Bloggers like infographics, so take your advantage with it. Check your infographic for spelling and grammatical errors before you post it. Make sure your infographic is user-friendly for mobile traffic. Use calls to action. For example, read more (with a hyperlink to your website).